Meet near the play equipment – look for our banner. 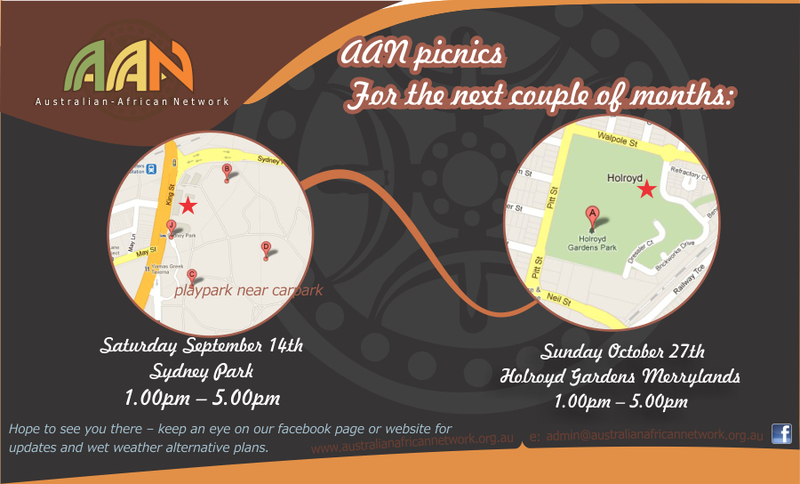 Sausage sizzle – bring salads & snacks to share. This entry was posted in AAN Events and tagged African Australian families, bicultural families, biracial families, family support mixed race, interacial families, mixed race couples, mixed race families. Bookmark the permalink.